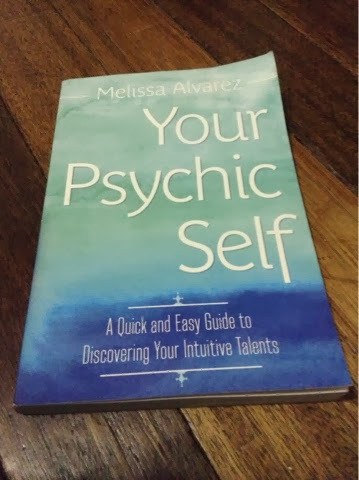 Your Psychic Self book is a gift from my kids this Christmas. Well, I actually forced them to buy it for me (wink!). Julia, Rafael and Juan joined forces (and funds) to be able to afford it at Php595. I grew up not knowing that I have intuitive abilities. I see things and events in my dreams but I try to ignore them and wish they'd all go away. I really can't just let it go, so as the saying goes, "if you can't beat them, join them. Hence, the journey to this book begins. This book is designed to help you recognize and maybe develop your intuitive abilities thereby assist you in your daily life. I'm still in the introduction but the line near-electrocution proved that it probably started my having this talent just like what the author of the book experienced. As a child, I used to get electrocuted by plugging anything within my reach like tweezer, old electrical cords, comb, etc. etc inside electrical sockets. "I feel there are two people inside me - me and my intuition. and if I follow her, we get along quite nicely."